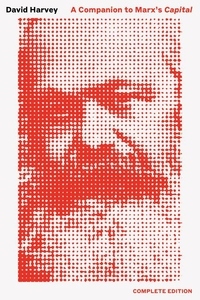 In recent years, we have witnessed a surge of interest in Marx's work in an effort to understand the origins of our current political and economic crisis. For nearly forty years, David Harvey has written and lectured on Capital, becoming one of the world's foremost Marx scholars. Based on his recent lectures, this current volume--finally bringing together his guides to volumes I, II and much of III--presents this depth of learning to a broader audience, guiding first-time readers through a fascinating and deeply rewarding text. A Companion to Marx's Capital offers fresh, original, and sometimes critical interpretations of a book that changed the course of history and, as Harvey intimates, may do so again.